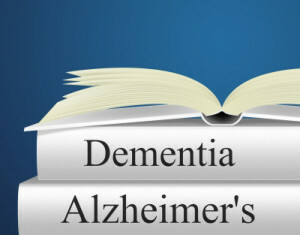 A particular subject discussed between two friends (family) could it be called a chat, a heart to heart, one to one or maybe a chin-wag, what-ever its called the topic of this particular conversation was Alzheimer’s and how it differs from Cancer. The disease, named after the doctor who first described it (Alois Alzheimer), is a physical disease that affects the brain. It’s a progressive mental deterioration of the brain and can affect a sufferer over many years. As time moves on the disease eats away at the brain. In the early stages, memory lapses may cause difficulty recalling recent events and learning new information. In the later stages, they will probably need help with every aspect of day to day living. There are approximately more than 510,000 people in the UK with Alzheimer’s disease and you do not necessarily have to be elderly to be affected. Early-onset Alzheimer’s affects people in their 40’s and 50’s. Here in the UK Alzheimer’s disease is the most common form of dementia in younger people with around one-third of them with dementia suffering Alzheimer’s disease (Alzheimers Society). Cells in our body are constantly dividing replacing old cells for new ones. Cancer starts when old cells being replaced with new ones go out of control producing more than needed. The body replaces these old for new however sometimes more cells than needed are produced these extra cells are placed on-top of themselves which forms the makings of a tumour (becoming either benign or malignant). There are many forms of Cancer each with there own name and treatment regime. Both Cancer and Alzheimer’s bring devastation to both sufferer and family. We both have people within our family suffering from both these soul-destroying diseases, we had been discussing which one of them was the worse (Alzheimer’s/Cancer) I personally think they’re as bad as each other. In the end, they both devastate families by bringing about, sooner or later, the loss of a loved one.